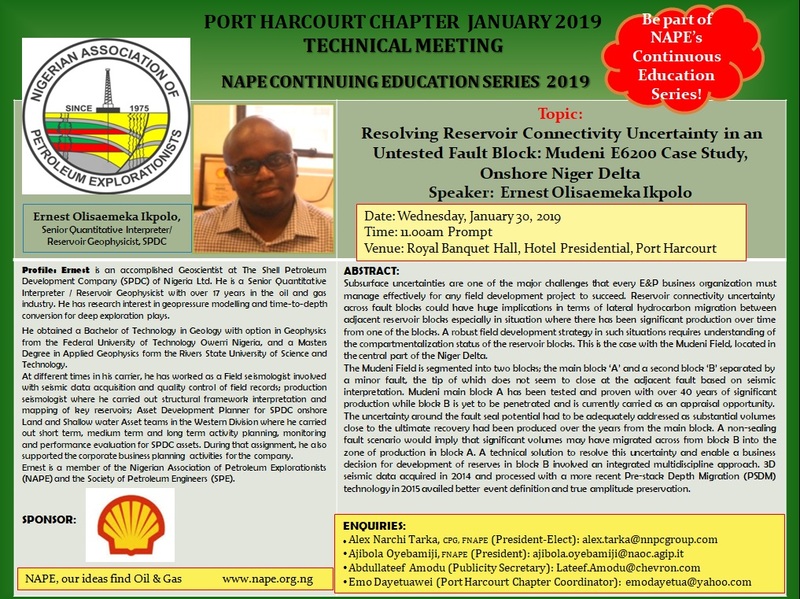 The Port Harcourt Chapter January 2019 Technical/Business Meeting was held on Wednesday January 30, 2019 at the Royal Banquet Hall, Hotel Presidential, Port Harcourt. The Speaker of the well attended meeting was Ernest Olisaemeka Ikpolo. The meeting was sponsored by Shell Petroleum Development Company (SPDC).